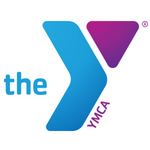 The North Penn YMCA has a long history of providing programs and services for people all ages and abilities at three facilities located in Lansdale and Harleysville. Our mission is to make the community we serve a better place to live. Through programs and activities, we strive to enrich, strengthen and promote wellness for all people, regardless of ability to pay.